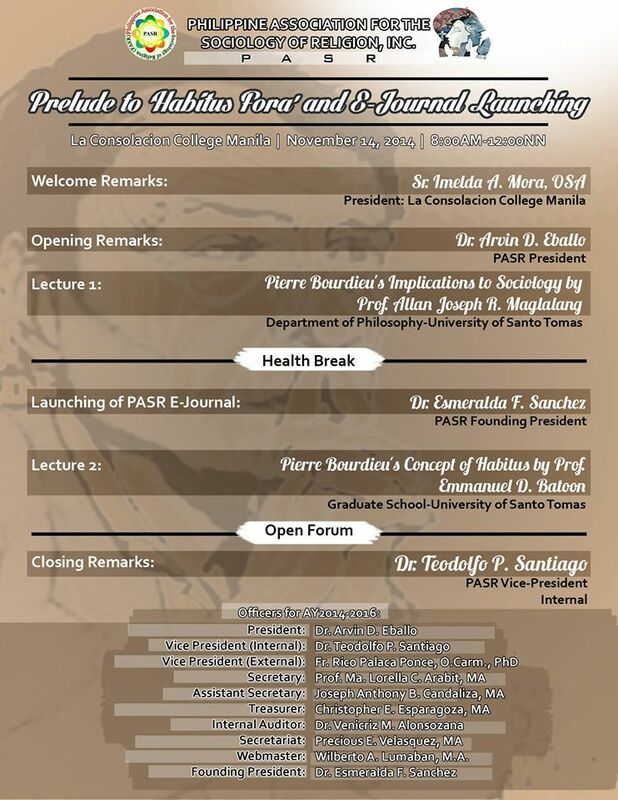 You are invited to attend a Public Lecture organized by the Philippine Association for the Sociology of Religion (PASR) on November 14, 2014 from8:00AM to 12:00NN at La Consolacion College Manila. Prof. Allan Joseph Maglalang will discuss Pierre Bourdieu’s influence to sociology while Prof. Emmanuel Batoon will explain Bourdieu’s concept of Habitus. For more details, kindly contact the secretariat: 09999561435. Kindly text me (my new number 09063294179) ASAP to confirm your attendance. Thank you! Congratulations to our newly elected board officers and members! The Interim Officers hope that you will surpass our achievements last year. We look forward for more academic activities this year until 2016. 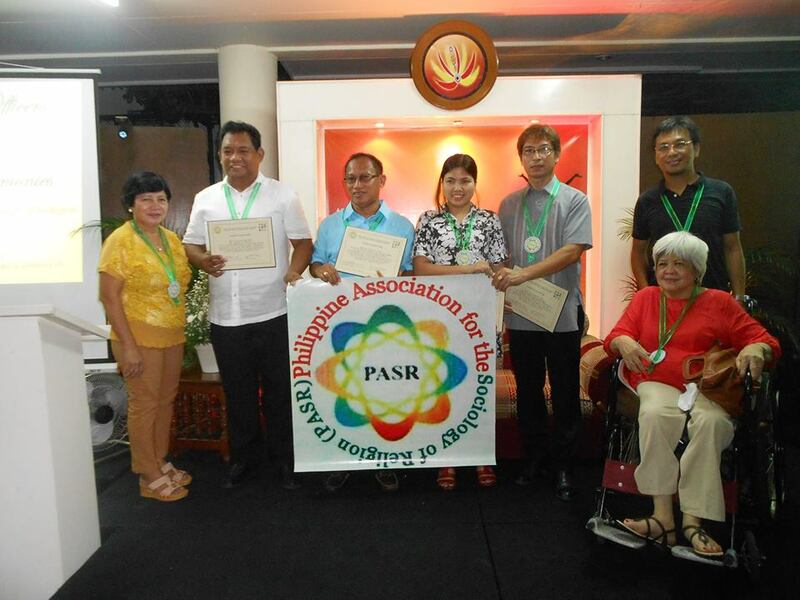 We would also like to thank the plenary speakers, presenters and participants who shared their expertise and precious time in the recently concluded Religion in the 21st Century: National Canopy Forum on Theory, Methods and Research. We hope to see you next year.